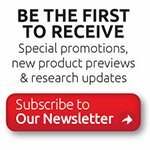 This statement clarifies that AbraxSys Corporation is in compliance with the European Union’s directive 2002/95/EC, Restrictions of Hazardous Substances (”RoHS” directive) and similar regulations that may be adopted by other countries. RoHS directive became valid on Jul 1 2006 in the member states of European Union. It states that all new electrical and electronic equipment put on the market within the member states must not contain certain hazardous materials. 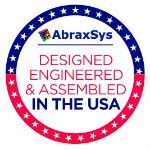 AbraxSys embraces this responsibility to the environment and our products.